The Edge of Seventeen is a fantastic coming of age film from writer and director Kelly Fremon Craig. The script sparkles, the casting is spot-on, the humour is well-observed. Like so many great coming of age comedies, The Edge of Seventeen understands that familiar teenage angst where the entire world seems to have been constructed as a sadistic (and highly targetted) Rube Goldberg machine for the sole purpose of torturing one single individual. The Edge of Seventeen balances this all very deftly, creating a set of circumstances that understandably feel like the end of the world to the lead character, but which seem comical to a more matured detached audience. However, the true strength of any coming of age film lies in the casting. Easy A was a fantastic film, but it was cleverly elevated by the shrewd casting of Emma Stone as its wry protagonist. The Edge of Seventeen places Hailee Steinfeld at the centre of its teenage universe. Steinfeld delivers a pitch-perfect performance that meticulously walks the line between sardonic and vulnerable. The Edge of Seventeen has the luxury of a well-crafted and well-observed script, but it lives or dies by its central performance. 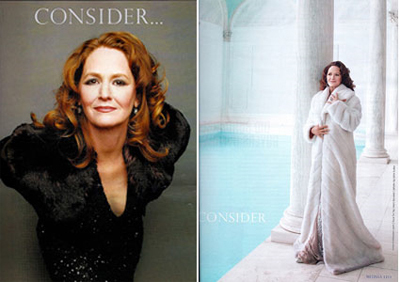 Melissa Leo took home the Best Supporting Actress Oscar last Sunday night and I was quite happy about the decision, to be honest. She was great in The Fighter and – although I personally would have though Hailee Steinfeld from True Grit would have made a more deserving winner – it wasn’t a bad result. In the lead-up to her win, Leo garnered a fair amount of publicity from the fact that she took out her own “For Your Consideration” advertisements, most of it, to be honest, quite derisive. But you know what? I’m okay with that. After all, who else was going to do it for her? True Grit is a strange proposition. It’s very clearly a very typical Western movie, about a bunch of (effectively) hired guns hunting down a fugitive on the run from the law, in pursuit of a large bounty. However, it’s also very distinctively a Coen Brothers movie, in attitude and tone. It isn’t that the two are mutually exclusive (No Country For Old Men, for example, was a modern Western with a very Coen aesthetic), but it’s just strange to see both elements so strongly pronounced. Although not quite perfect, True Grit is a movie well worth your time.